TONKS’ debut album ‘Windows Down & Dying’ delivers raw humanity and compelling vulnerability through tender songs full of warmth and sincerity. I guess I really want to portray the concept that life isn’t as short as so many people say it is. I think life can be very long. 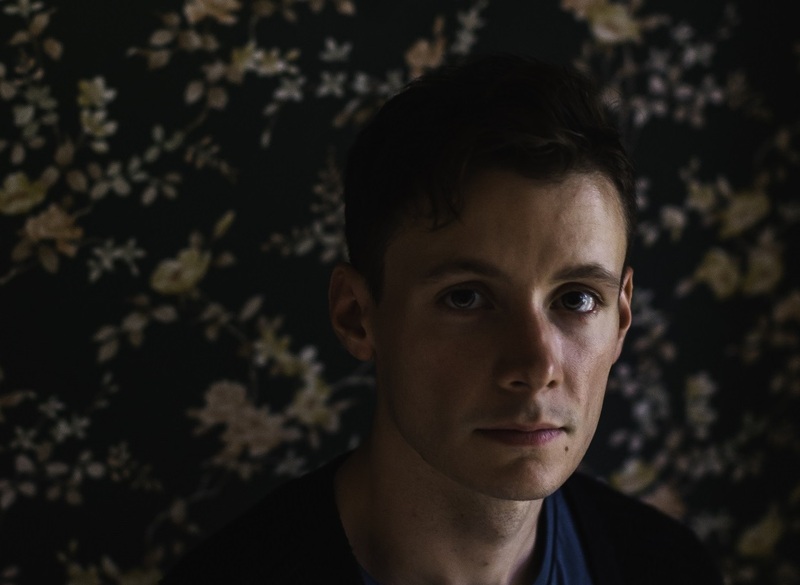 When TONKS’ Ian Foley says his debut album is about “simple happiness,” he doesn’t mean naïve bliss – rather, he’s referring to life’s enormity, complexity, and longevity; how we can approach each day with a healthy mindset and attitude, recognizing when molehills feel like mountains and minor blips feel like extensive tragedies, and appreciating every day for the good that comes with it. There will always be negatives or detractors ready and waiting to tear us down, but as Windows Down & Dying suggests, we can find balance between chaos and order, darkness and light, sadness and happiness. It isn’t easy, but it’s not impossible. 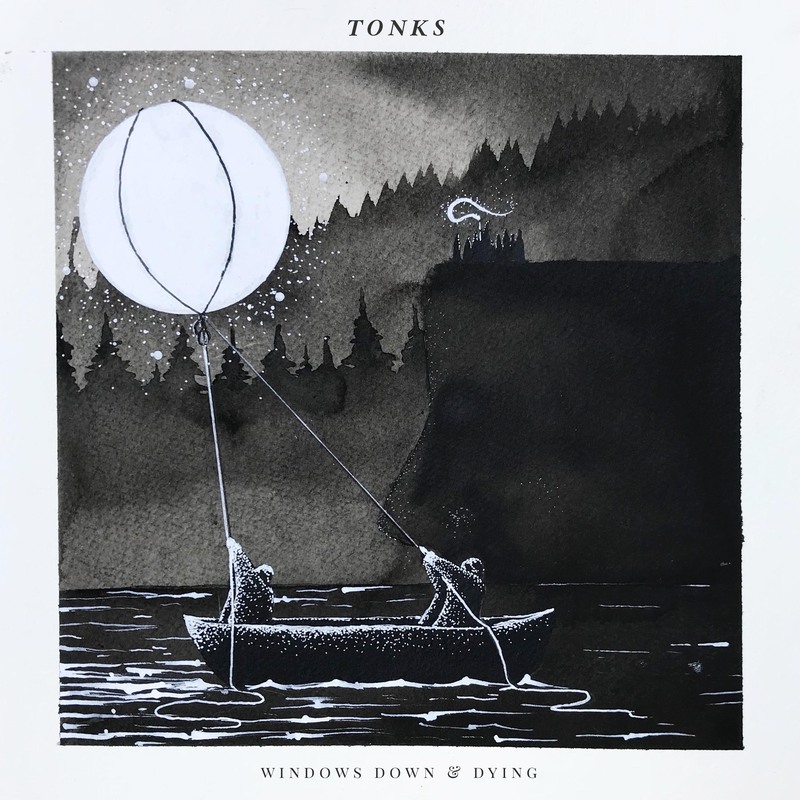 Atwood Magazine is proud to be premiering TONKS’ debut album Windows Down & Dying, independently out November 16, 2018. The solo acoustic project for New Jersey singer/songwriter and Dryjacket bassist Ian Foley, TONKS delivers raw humanity and compelling vulnerability through tender songs full of warmth and sincerity. 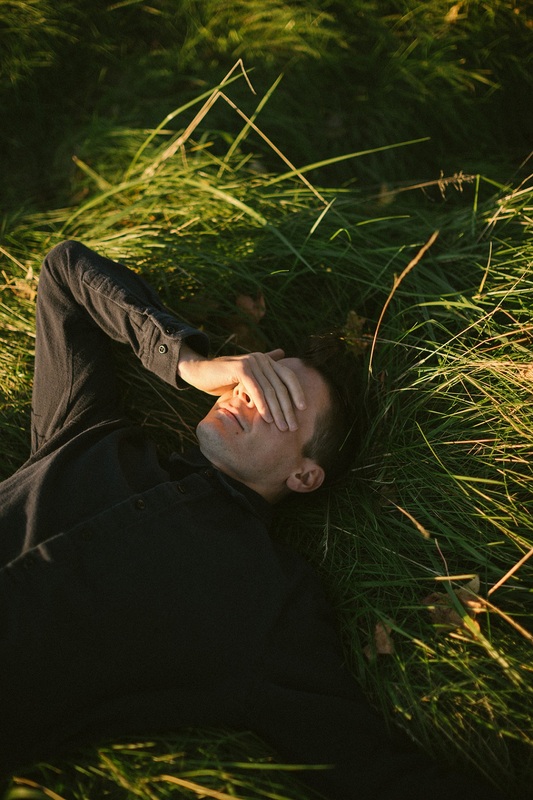 “Windows Down & Dying is about being uncomfortable and content,” Ian Foley explains. Recorded with Eric McNelis over a three-month period, the album showcases Foley’s lyrical poeticism and a gentler musicality compared to his work in Dryjacket, the Marlton, New Jersey-based indie rock/alternative outfit who released their own debut album just last year. they watched the fire grow. a mesmerizing ebb and flow. Down below we’ve earned and anecdote. Windows Down & Dying is full of touching anecdotes and bittersweet odes to, and reflections on life; from the quaint, mesmeric opener “The Great Idaho Fire,” with its observations of perception vs. reality in the context of bad experiences, to lead single “Running Downhill” and its solemn coming-to-terms with some life’s harder truths – like people growing apart from one another. Indeed, much of Windows Down & Dying feels like the end of a quarter-life crisis. At one point in our conversation, Foley stresses the importance of living with meaning: “Life will eventually get slow and boring and you need to assign yourself a purpose… You need to find emotionally rewarding work.” In pouring himself into these songs, we come to understand Foley (and therefore TONKS) as a wayward soul who’s still coming to terms with his own existence, continually recognizing it for more than what he ever thought it would, or could, be. As far as singer/songwriters go, TONKS is a canary in a coal mine – a heartfelt and down-to-earth storyteller with a keen, learned perspective. Named after the Harry Potter character Nymphadora Tonks, who can “change her appearance just by thinking about it,” Foley’s personal project is fully poised to take on a life of its own, and we cannot wait to embark on this journey with him. Windows Down & Dying is his first solo endeavor, a full reckoning of our comings and goings taken at a seemingly innocuous, powerfully pivotal point in the artist’s life. “I did everything I could to make it work, and I’m happy with the results,” Foley shares. 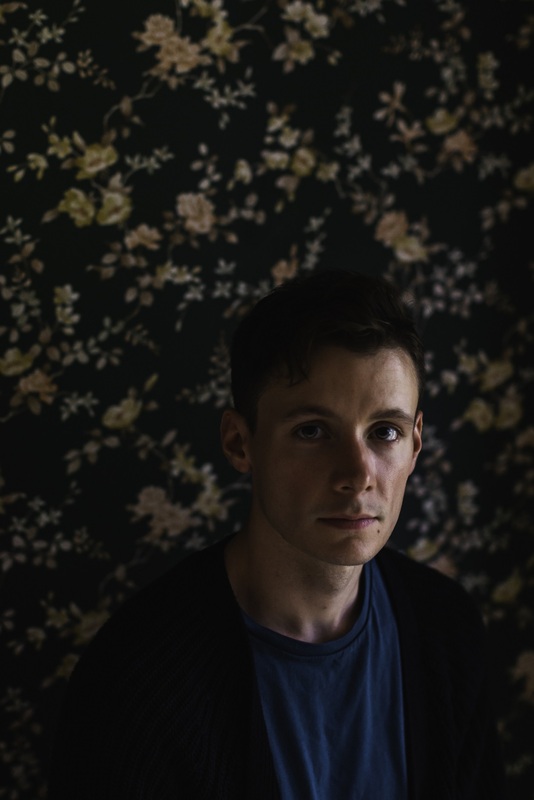 Experience the full record via our exclusive stream, and peek inside TONKS’ Windows Down & Dying with Atwood Magazine as Ian Foley dives into his debut album in our exclusive interview! Atwood Magazine: Thanks for chatting with me Ian! While Windows Down & Dying is by no means your first-ever record, it is your solo debut as TONKS. Can you talk about what this album means to you? TONKS: This record is a big deal for me because it was my way of proving to myself that I have the capability of writing and putting out a record on my own. I always told myself it was something I could do, but wasn’t sure if I genuinely believed it. For me, this record will always bring me back to sitting in my living room and recording demos into a shattered phone. I did everything I could to make it work, and I’m happy with the results. With less than a week until its release, what are you feeling right now? TONKS: I feel nothing but excitement. I see this as a way to get my foot in the door and maybe be a part of some conversations. I think it will also be a breath of fresh air to finally be finished. I definitely underestimated all of the time and effort the project would take. I‘ve also had the pleasure of also diving deeper into Dryjacket this week, and there’s an indisputably sharp difference between your work in the band and in TONKS. How did TONKS start, and what has inspired this project forward? TONKS: Tonks and Dryjacket are very different. I have a lot of different tastes in music which is actually where the project gets its name (I’ll explain shortly). The music for Tonks really started a long time ago. “Giles Corey” is the oldest song on the record, and I’ve had that riff since 2012. I really just didn’t have the means or the funds to put out a record at the time. I knew this was the year I would start taking these songs more seriously, and somehow in the middle of recording demos at Gradwell House in Haddon Heights, NJ, I just decided I was wasting my time demoing and I should dive in head-first and finish [the] full record. How, if at all, would you say South Jersey has impacted you statistically over time? TONKS: South Jersey / Philly has a nice music hub and I made most of my friends through playing music. I started going to local shows with Brad from Dryjacket when we were probably 9 or 10. His older brother was in a band, and through watching them play, [I realized] that I wanted to play music more than anything else. I was very fortunate to live somewhere with a supportive music scene. What’s TONKS the name mean? Is it an acronym, an inside joke, an old nickname, a reference to everyone’s favorite Harry Potter side character, or something else altogether? TONKS: Tonks is a Harry Potter reference. For those not familiar, Tonks is a character who is able to change her appearance just by thinking about it. I really wanted to name the project after her because I have no clue what the music will sound like as I continue with it. I don’t have a specific genre I plan to stick with. The more songs I write, the more I feel I’m being pulled in different directions. Future Tonks albums may be similar to WD&D, or they will be completely different, but I guess we’ll see what happens. The more songs I write, the more I feel I’m being pulled in different directions. Your album’s title Windows Down & Dying elicits quite the provocative image. How does this title describe the music inside? TONKS: I’ve said in the past that this album is about simple happiness, but I guess I really want to portray the concept that life isn’t as short as so many people say it is. I think life can be very long. Windows Down & Dying is about being uncomfortable and content. It’s about having an anxiety attack, but still rolling the windows down and letting the sun hit your face. Prioritizing rational happiness even when you think you’ve lost the emotional feeling… that sounds very dark and moody but it’s meant to be a nice sentiment. I guess I really want to portray the concept that life isn’t as short as so many people say it is. What inspired the album art? Who’s that by? TONKS: Joshua McQuary did the album art. His Instagram name is @mc__monster. I followed him for a number of years as a fan and I thought the art fit well with “Through the Daylight, the Moon Appears,” which is a song about spending your whole day writing music that may just be a waste of your time. So when it was time to come up with art, I took a shot in the dark and asked him if he’d take on the project. He got back to me immediately, and we figured it out! You open with “The Great Idaho Fire,” whisking listeners immediately into a place that feels both light and dark, of onlookers watching fiery devastation from afar. Why begin that way? TONKS: I think that song has previews of what you’ll hear on the record. It has the folky clap along chorus, but also has the darker outro. I put that song first to give the listeners a quick start and an understanding of what the rest of the record is going to sound like. What’s the significance of detachment in this song? TONKS: I’m not sure I can dive too deep into this one without getting too serious, but I think I was very short sighted for a long time, and genuinely never saw my life past 25. Now that I’ve reached that point, I feel like it’s time to take a little more responsibility for myself as opposed to just managing to get by. I think I was very short sighted for a long time, and genuinely never saw my life past 25. One thing I love about Windows Down & Dying is your extensive exploration of guitar riffs, beats, and chords. You blend lead and rhythm guitar so fluidly that one barely realizes it’s just you. Is this something you’ve consciously strived for in your music? TONKS: I was talking to a friend about this recently. I want to feel more comfortable writing songs that are just chords all the way through, but as of right now the variation between finger picking and strumming is just the easiest way for me to differentiate between parts. I’m also not playing with a full band as of now, so it’s a way to keep the song interesting. You first introduced this project through the single “Running Downhill,” a vivid expression of transition and change, growing together and growing apart. Why debut with this song? TONKS: I went with this song as the first single just because people kept saying that was their favorite, and it should be the single. I think it has a very approachable chorus, but still has the full outro with all the instrumentation. My second choice probably would have been “St. Charles Place” because of the chorus. “Running Downhill” is one of a few songs on the record that, I feel, has the potential to be much bigger sonically. Did you ever find yourself struggling with instrumentation - what to add in, and even more so, what to leave out? TONKS: Definitely. This whole record could have been much different as far as more instrumentation, but I was keeping it as stripped down as possible so that I wouldn’t need to include other people. Also, this record was recorded in 6(ish) sessions over a three month period, because of scheduling around work. So ideally if scheduling and budget were out of the picture, it would have been full band and packed with all the instruments I could fit into a song (like a Sufjan record). We’ll see what happens on the next one. I think “You Aren’t Missing Anything” is particularly bittersweet, with its advocation that “we know nothing about ourselves.” Where does this song come from? TONKS: That song pretty much carries the theme of the record in its verses. Life will eventually get slow and boring and you need to assign yourself a purpose. People work hard, they make the salary they’ve always wanted to make, only to find that it just gave them more money to spend at the bar. You need to find emotionally rewarding work. Life will eventually get slow and boring and you need to assign yourself a purpose… You need to find emotionally rewarding work. “Pictures of Privilege” is another sweet lesson. It’s extraordinarily poetic in your candid, conversational manner. Does songwriting like this come naturally to you, or is it a more painstaking, hair-pulling process? TONKS: Thanks! This song was actually an easier one for me to write. I was messing around on my dad’s old classical guitar that he got when he was young, and I decided I wanted to write a really simple campfire(ish), “Big Rock Candy Mountain” kind of song. I went through a hard breakup in ’15, after a long relationship and wrote a million sad songs about it. Then years past, I got over it, and this song was me reflecting on how it was for the best, I don’t blame them, and I think we all make the mistake of choosing our partners based off society’s shallow depiction, as opposed to what’s real and practical. Acknowledging the whole record is your baby, what are some of your favorite moments on here that we may or may not have covered yet? “Garden State Blue” exhibits your talents on the violin. Is this the first time you’ve incorporated that instrument into your recorded efforts? How did you go about incorporating violin into this record? TONKS: I actually recorded a violin track on the Dryjacket song “Newton Colony.” I took private lessons from age 4-12 before moving on to upright bass. So I was unpracticed until this year, when I picked it up again. I’m trying to get better at it and hopefully incorporate more of it into both projects. You conclude with “Giles Corey,” a hauntingly intimate depiction of isolation and existence. What’s the special significance of this track? TONKS: Without going into too much detail, this track was about a hard loss in my life that stuck with me daily, for years. It is, in part, a tribute to a beautiful person who deserved to live a full life. I hope that what people will get from it is that everyone carries around anxieties and stresses throughout everyday life, so we should be grateful for each other’s attention. While you are having an interaction with someone, their mind may be in a million places and yet they are making the effort to give it to you. Why end Windows Down & Dying with “Giles Cory”? How does this capture the album’s and your ethos as you come to a close? TONKS: As I said in one of the previous questions, this was one of the older songs on the record, and it gave me the confidence to take on the project. I thought it was only right to end the album on that strong note. Everyone carries around anxieties and stresses throughout everyday life, so we should be grateful for each other’s attention. How do you balance TONKS with your band work, and what’s in store for you in 2019? TONKS: It’s not easy, but I make it work. When Tonks slowly started feeling like a full time project I had to go out and buy my first physical calendar to make sure I had my life planned out months in advance. I’ll be out on the road with Tonks in March, covering as many cities as I can. The end of ‘19 may or may not bring a second Tonks record; I write a lot so there are more than enough songs for another record. But Dryjacket has also been hard at work on a record that is completely demoed out, and I am crazy proud of the songs we’ve put together. There will be some Dryjacket updates soon, and I think all of us are itching to put out music and get back out on the road with these new songs. How do you foresee TONKS progressing in the years to come? Is this your outlet, is it another full-time pursuit, is it both? TONKS: I see it as both. Dryjacket will always take first priority of my time, but there is no foreseeable end to either project. Writing music is such an important part of my life so the plan is to continue to do it, and continue to grow as a songwriter. But when we officially start scheduling the next Dryjacket release Tonks will take a back seat for however long is needed.